The official Overwatch Twitter account has announced that the game has now surpassed 30 million players. The game hit the 25 million players mark earlier this year and shows no signs of slowing down. Nintendo of America president Reggie Fills-Aimé has told TIME magazine that the NES Classic has sold over 2.3 million units. 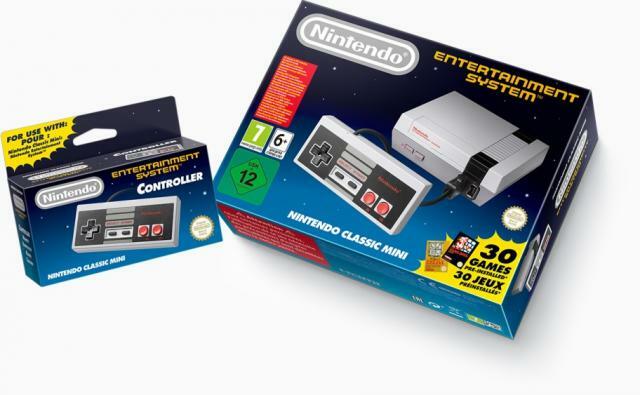 This follows the announcement that the retro system has now been discontinued worldwide. "We had originally planned for this to be a product for last holiday," Fils-Aimé told TIME. "We just didn't anticipate how incredible the response would be." The launch month of the Nintendo Switch was a huge success for Nintendo. The console sold 2.74 million units in March. 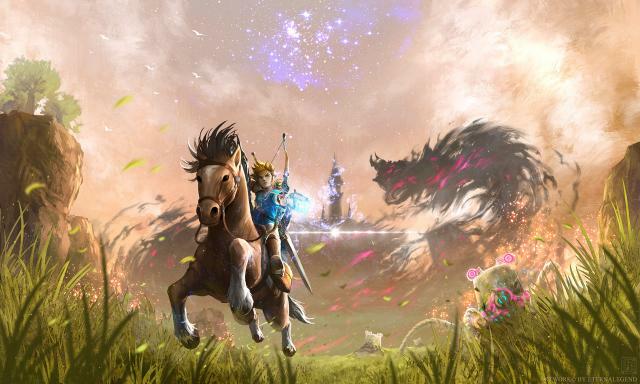 The Legend of Zelda: The Breath of the Wild sold 2.76 million units on the Switch and 1.08 million units on the Wii U. For the full fiscal year ending March 31, 2017 Nintendo earned $4.4 billion in revenue and profits of $925 million. Nintendo expects revenue of $6.7 billion in the fiscal year ending March 31, 2018 and profits of $404 million. The New Nintendo 2DS XL will debut in Japan on July 13th and in North America on July 28th for $149.99. Activision and Sledgehammer Games announced Call of Duty: WWII launches for the PlayStation 4, Xbox One and Windows PC on November 3. "This is based on one of the most monumental moments in human history, and we get to honor and respect that global sacrifice, to honor the men and women who fought for freedom on all fronts, on a global scale," said Sledgehammer Games co-founder and studio head Michael Condrey. "The story Call of Duty: WWII follows a global and diverse cast, but for me it honors my father Ronald “Red” Daniels and his squad, and not just what they went through from a global perspective, but what they went through personally. We like to tell a story within a story, and this is no different," added Sledgehammer Games co-founder and studio head Glen Schofield. Swedish independent studio Nodbrim Interactive announced today that its turn-based role-playing game Acaratus will launch on Steam on May 25 at 14.99 USD and 13.99 EUR. Acaratus, a tactical RPG set in a medieval steampunk world, released in Steam Early Access on February 25, 2016. "Over the past year on Steam Early Access we've listened to the community and have incorporated lots of feedback into the game," said Martin Kupski, Creative Director at Nodbrim Interactive. "We really think that players will enjoy the improvements that we've made when they see the final version at the end of next month." Inspired by games like Heroes of Might and Magic and Hearthstone, Acaratus allows players to build their own mecha units (or battle suits). According to Nodbrim, players can customize these units to accommodate many play styles by adding attachments and building a deck of ability cards. Sony on the PlayStation Blog have revealed the PlayStation Plus games for May. Two PlayStation 4 titles, two PlayStation 3 titles and two PlayStation Vita titles (with crossbuy with PS4) will be available for free to download. 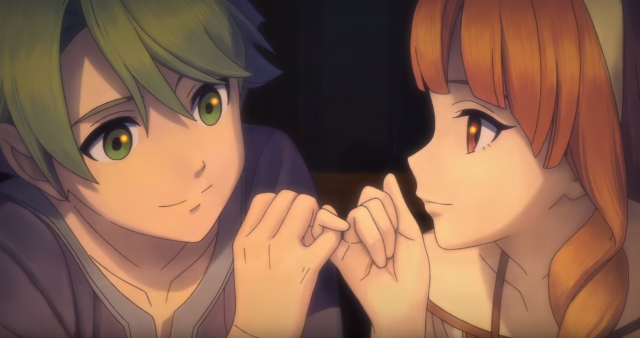 Fire Emblem Echoes: Shadows of Valentia (3DS) debuted at the top of the Japanese charts with sales of 131,668 units, according to Media Create for the week ending April 23. Pro Yakyuu Famista Climax (3DS) debuted in second with sales of 48,142 units. The Nintendo Switch was the best-selling platform with sales of 48,694 units. The 3DS sold 22,629 units, the PlayStation 4 sold 19,334 units, and the PlayStation Vita sold 5,164 units. The PlayStation 3 sold 367 units, the Wii U sold 262 units and the Xbox One sold 68 units. Bethesda Softworks has released the Ruins of Sarnath arena trailer for Quake Champions. Enter the ruins of the temple of Sarnath. Untold epochs have passed since the slime-slick stairs were heaved upward from their inky depths, to be swabbed by the tears of tribute. One of the central areas in the ruins is home to a Heavy Nailgun, Lightning Gun, and a Light Armor. Defenders will want to try and use the high ground to neutralize the effects of the Rocket Launcher, while attackers may want to coordinate entering through several entrances in order to split defender attention. The two jumppads in the corners provide an entrance with some cover, although care must be taken when trying to enter from the Cistern as it is a bit more tight and susceptible to splash damage. The Temple Mask is where you’ll find the second Obelisk. This room is also notable for the T-shaped pillar that can be shot in order to temporarily sink it into the ground. Players coming in will have the high-ground, but the defensive positions will have cover to their advantage, and possible exit routes through the Portico and the Antechamber. A simple room, but important as it contains a teleporter that brings you near the powerup near the Eye of Cthalha. Its two exits bring you to either side of the wall near the mask, allowing attackers to flank players who are holding back too much. Featuring the Railgun in the center of the room, the Cistern is a dangerous area that allows quick transit to most of the arena. A jumpad out will lead you directly onto the high ground in the Ziggurat Base, but the high arc of the jump is much more likely to leave you for railbait. The watchful Eye of Cthalha sits underneath alternating Quad Damage and Protection Power-Ups. Even when the Power-Ups haven’t yet spawned, you’ll still want to hold onto this room to control the Mega Health, with the ability to easily restock the Rocket Launcher. If you ignore this room entirely, you may find yourself imprisoned in the swinging cage above. Sitting directly between the Mask and the Ziggurat is where you’ll find the Heavy Armor, in this very tall two-story room. Hanging around in here too long without a charged Dire Orb allowing you to teleport to the top floor without making a risky Rocket Jump is not advised. The Sluiceway offers an alternate connection to the Super Shotgun room and into the Cistern. This easily holdable area works great as a means to stage an attack on the Ziggurat Base. Although light on resources, you’ll find yourself adjacent to the Railgun and Heavy Armor. The jumppad in the back leads to an area with some amount of cover, making it one of the safer places to pop up from.